Our company is accredited under the terms of EASA Part-145. 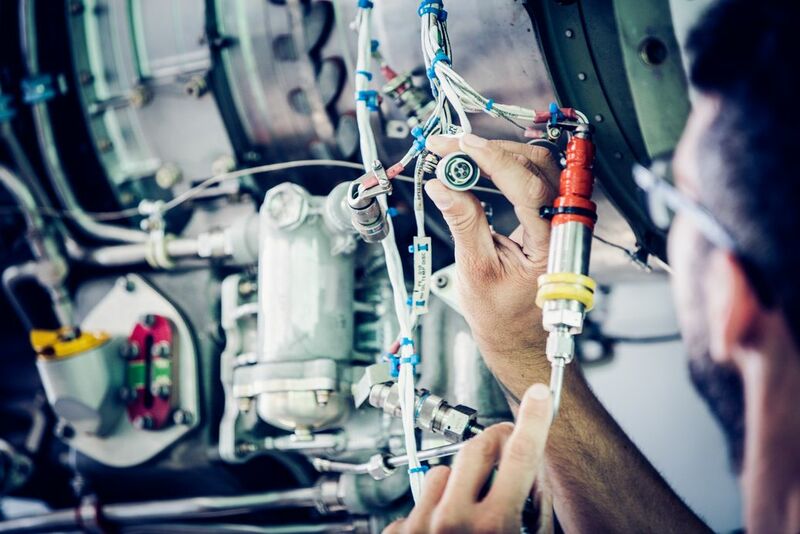 This means that we undergo continuous quality controls and comply with EASA-issued airworthiness directives concerning the maintenance of commercial and non-commercial aircraft. 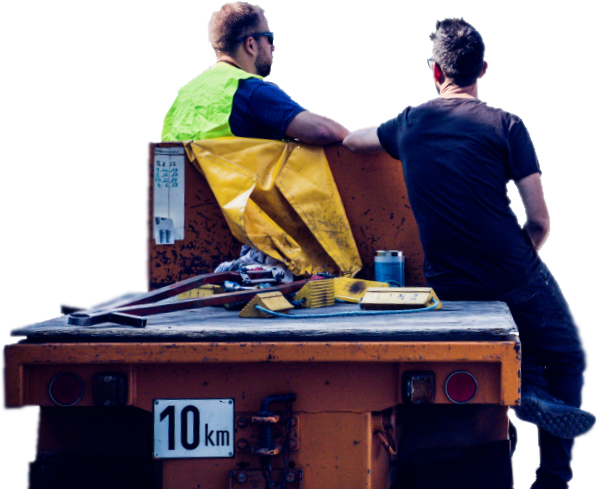 The full scope of our broad range of services is also available to other maintenance companies. Scheduled maintenance for our clients builds the foundation of our business. In terms of technology and personnel we are equipped to conduct several comprehensive projects, be they routine or special maintenance, at the same time. There are many different reasons for unscheduled maintenance. Thanks to thorough preparation we are able to take unforeseen events in our stride, though the aim is always to preempt any potential problems. Regular line checks and good communication help to overcome even the most unexpected situations. 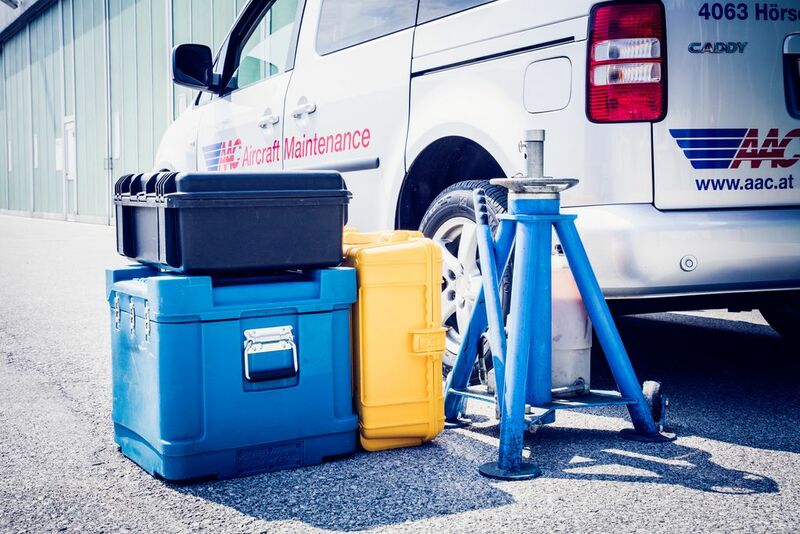 If an aircraft is grounded with technical problems that prevent the next scheduled flight from taking off, quick, solution-oriented help is needed. With our mobile equipment, we’re able to offer this kind of assistance at any time. The specialist field of avionics is incredibly wide-ranging. 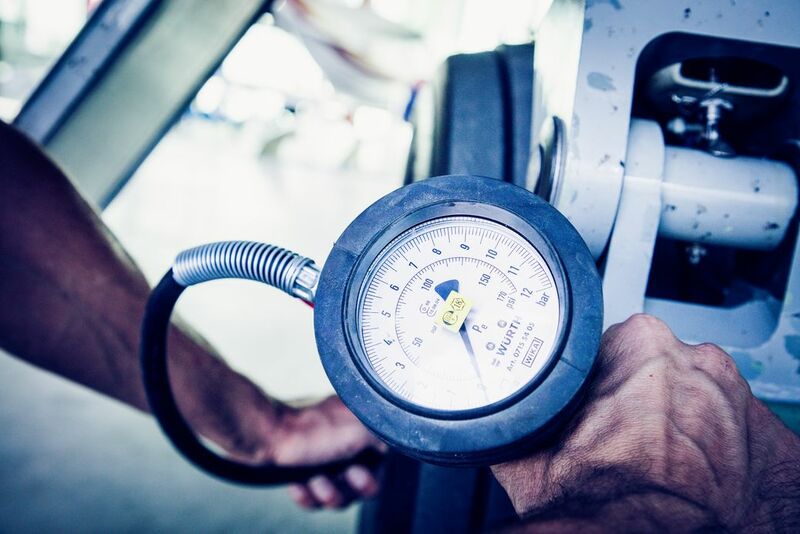 Our specialized personnel and partners don’t just focus on solving any problems that arise; we also carry out complex maintenance and fitting procedures. As a team, we develop solutions that are specific to our clients’ needs. 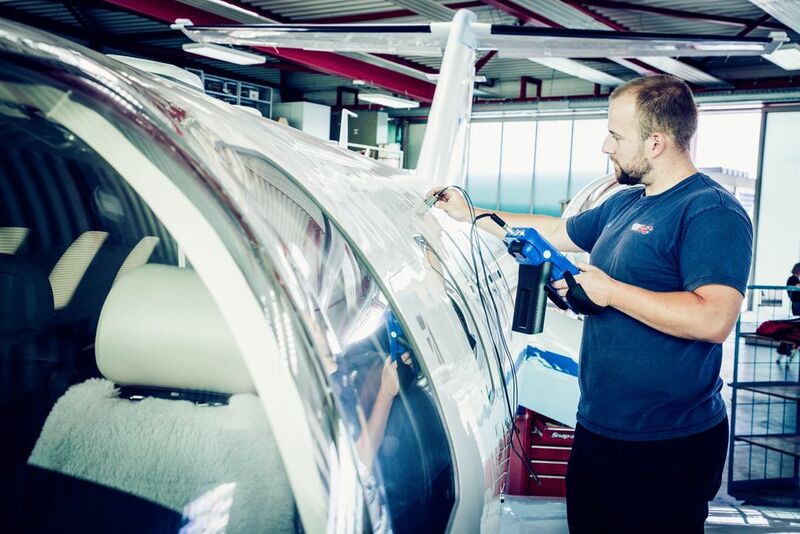 Aircraft bodywork is usually only necessary in extreme circumstances – for example, after an abnormal level of external physical influence, where there is corrosion, or in the case of authorized or prescribed modifications. We have experienced specialists in our team for this kind of work. Aviation is undergoing constant change. 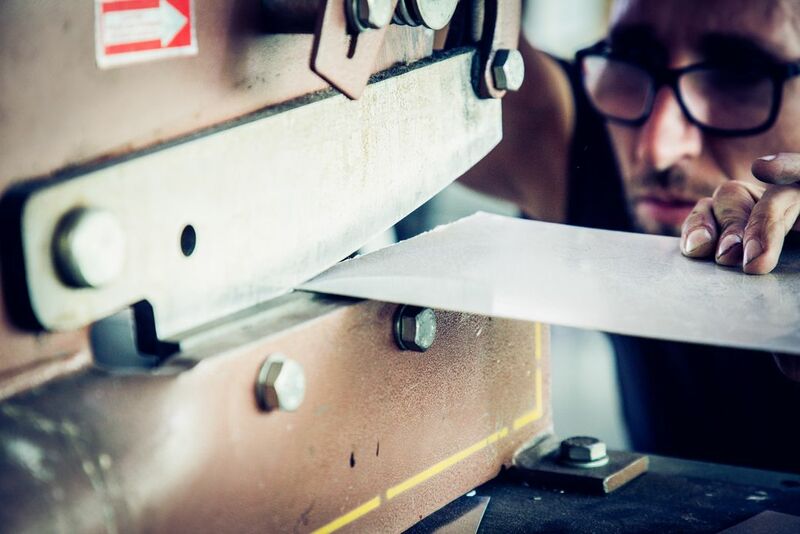 One important area is modern materials such as carbon fibre and various synthetic laminates, which are used ever more frequently in aircraft construction. Together with our specialist partners, we are continually developing in this area and able to offer tailor-made solutions. 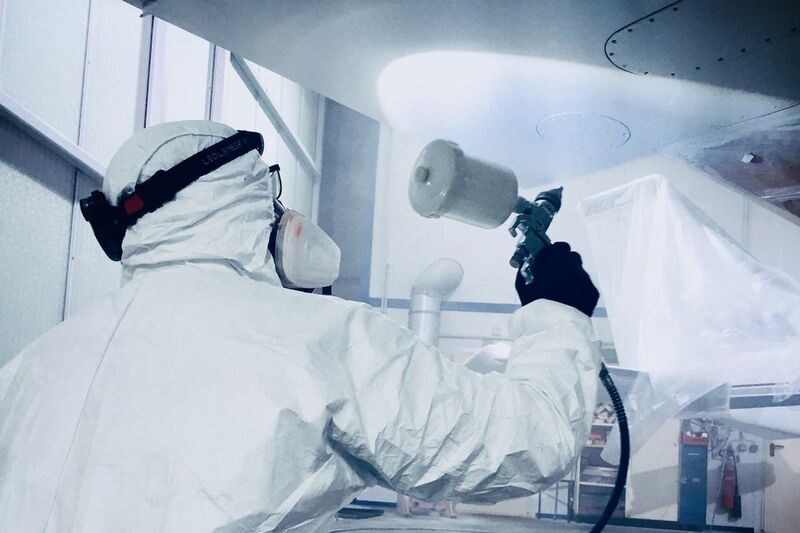 Aircraft paintwork is fundamentally different to all other types of coating. The paint must, for example, be resistant to UV radiation, temperature fluctuations, corrosive fluids, kerosene, hydraulic oil and ice crystals. We carry out small paint jobs as part of repair or improvement works and are planning to expand this area of our service package in the future. 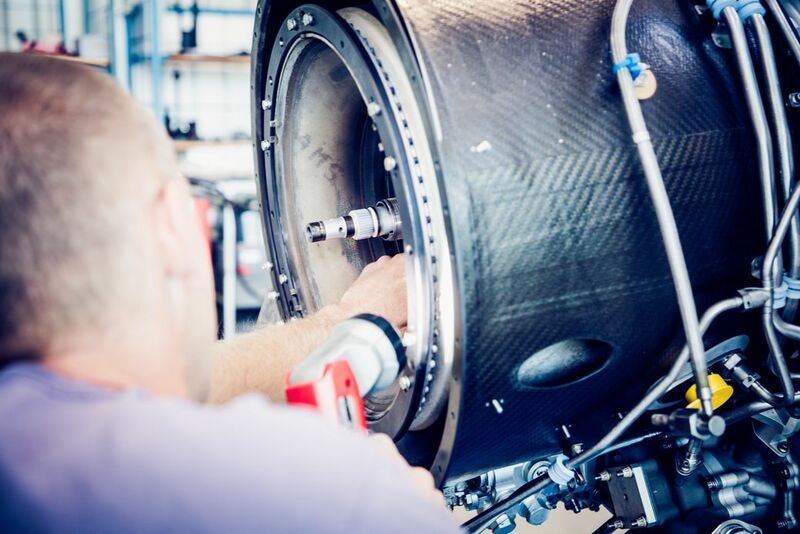 Non-destructive testing is a vital part of aircraft maintenance. Diverse aircraft parts that have to withstand extreme pressure need to be tested at regular intervals using various prescribed procedures. We specialize in the areas of eddy-current testing (ET) and penetrant testing (PT). 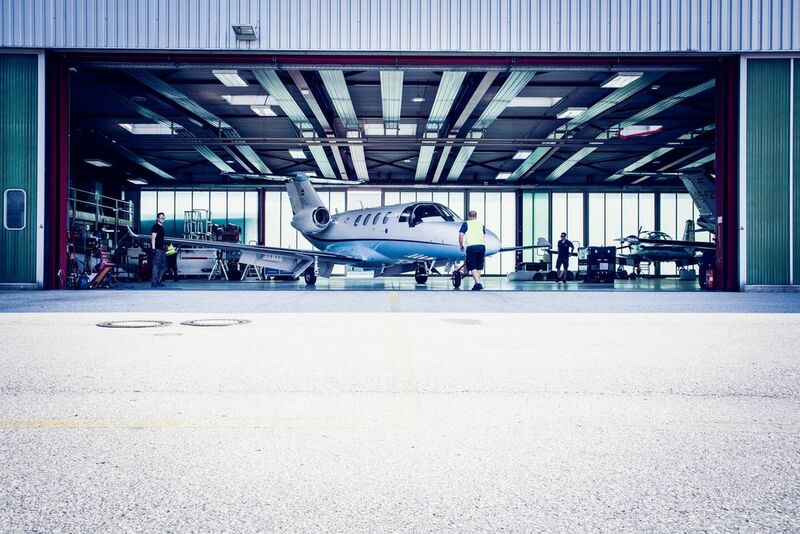 When attempting to increase the actual value of an aircraft, technical expertise and experience with that specific aircraft model play a decisive role. When our clients need this kind of support, we are there for them as a serious partner. In conjunction with our CAMO, we are happy to put together a comprehensive inspection that leaves no question pertaining to maintenance unanswered. We carry out hot section inspections on the Pratt & Whitney PW615F turbo fan engine directly in our workshop. This particular engine was specially developed for the Cessna Citation Mustang. We pride ourselves on being able to provide our clients with an all-encompassing service of this business jet model. 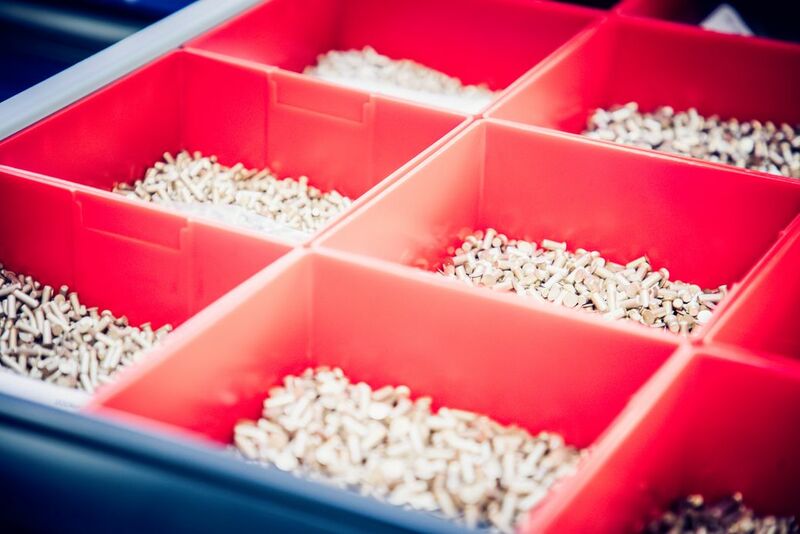 It’s not always quick or simple to get hold of checked and certified spare parts or authorized supplies. Thanks to our three main locations and an efficient central procurement system we are able to meet nearly every request rapidly. It’s the right products and the correct application of them that make an aircraft gleam. In addition to this, they ensure optimum protection against storms and UV radiation. For us, the final clean is putting the finishing touch on a perfect maintenance procedure. From cleaning upholstery and technical components to external polishing, we leave nothing out.